The Leapfrog Group, an independent nonprofit hospital watchdog organization, announced today the recipients of its 2016 Top Hospitals award, an elite national distinction given to hospitals with the highest quality in the nation. Performance across significant areas of hospital care, including safety, surgical outcomes, maternity care, and leadership, is considered in establishing the qualifications for the award. Data is gathered and publicly reported through the Leapfrog Hospital Survey. 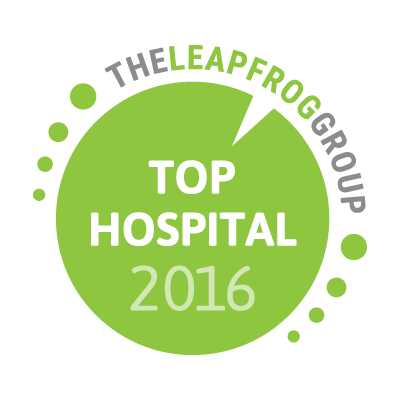 The winning facilities are officially recognized at Leapfrog’s Annual Meeting and Top Hospital Awards on December 6, 2016 in Washington, D.C. The Leapfrog Hospital Survey compares hospitals’ performance on national standards of patient safety, quality, efficiency and management structures that prevent errors, providing the most comprehensive picture of how patients fare at individual institutions. The data collected also enables hospitals to benchmark their progress towards Leapfrog’s standards and measure the care they deliver. To see the methodology and the full list of honorees in 2016, please visit www.leapfroggroup.org/tophospitals.